Jetset is a new member of the Power+Plus lineup that is getting alot of attention from a diverse group of breeders. This ultra complete son of OCC Jetstream has a power-packed pedigree that goes back to the dam of Backstop and Broadside. 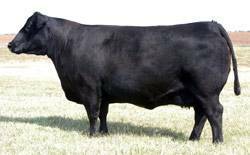 He's extremely smooth made, super patterned, sound structured, and has potential as a calving ease sire. 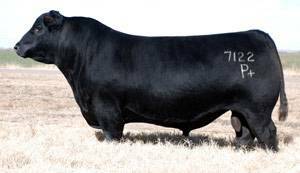 He could be one of the hottest new Angus bulls in 2010.